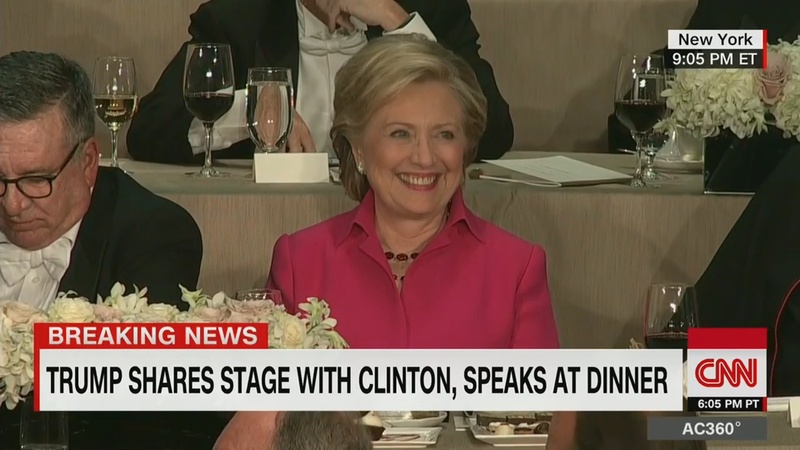 After watching the third presidential debate and the “roast” fundraiser the following night in New York where Donald Trump and Hillary Clinton were featured speakers, it first occurred to me that the best action the American People can take at this time is refuse to vote for either Democrat or Republican candidate. Due to the growing evidence of manipulation, fraud, and collusion, particularly on the Democrat side, the most appropriate decision would be to suspend this election, clear out the questionable components, and then conduct it in such a way that all intelligent viewpoints are given an opportunity to be heard. Making the raising and receiving of money a central factor in ideas getting heard and favors tendered, perpetuates a skew in favor of those who control money versus those who do not. It serves to narrow, if not suppress the presentation of viable options rather than reveal them. Hillary Clinton and all of her co-conspirators must be held accountable for the improprieties that she and they participated in, not only with the information that they withheld from her private email server, but the policies and assurances that she has made to others and have elected not to disclose to the American People. We have become a society where appearance trumps substance, where a lie with a smile, steadfastly maintained, is believed to suffice for truth. Nonetheless, irrespective of the phonic intonation, the central linguistic symbology “lie” remains at the core of both the noun “belief” and the verb, “to believe”, which hints at an obstructive quality. Lying to the American People and profiting from them is nothing new to the Clintons. 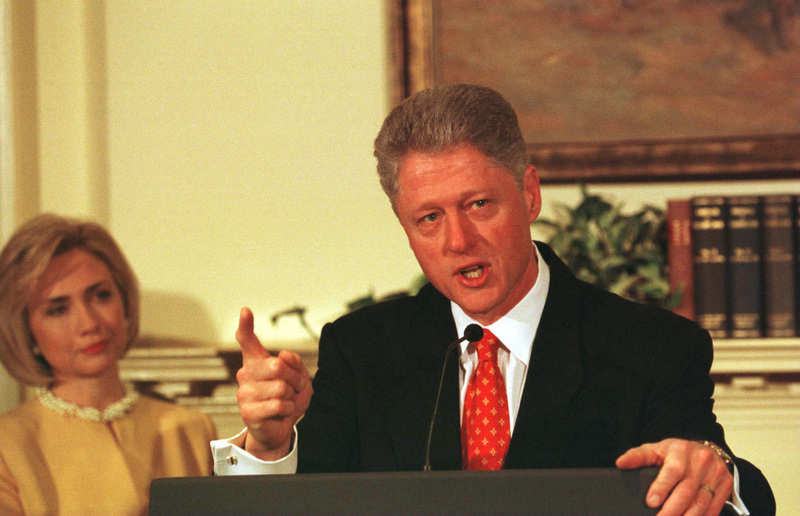 Let us remember that Bill Clinton was impeached for his misdeeds, not for having a sexual affair with Monica Lewinsky, but for lying about it under oath when he was caught red-nosed. He presided over other deeds that harmed many more lives, that few have noticed or taken umbrage with, to this very day. 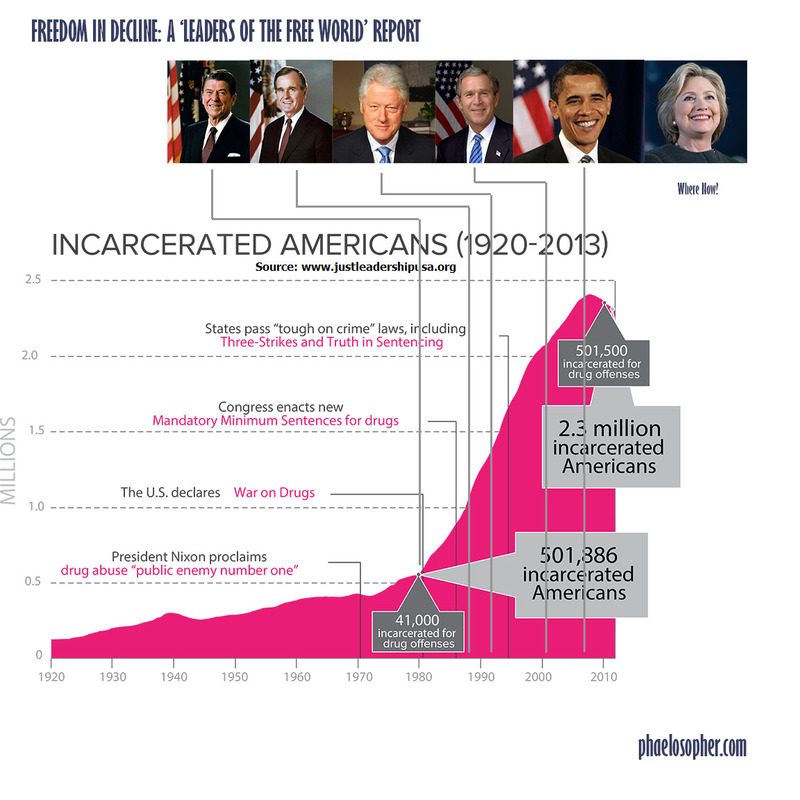 The meteoric increase in incarcerations of Americans for drug-related offenses that he inherited from Ronald Reagan and George H.W. Bush, is just one. Yet, Bill Clinton’s “indiscretions” have been sugar-coated, if not forgotten altogether. His speaking fees have been off the chart, even for an ex-president. 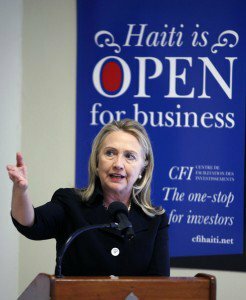 Turns out that the earthquake in Haiti, January 2010, was a great business opportunity for the Clintons, which they seized fully. According to this report, Haiti has been under U.S. occupation since 1915 via a treaty that forced the creation of a U.S. High Commissioner. The narrative about the U.S. occupation of Haiti, written by Jennifer Bauduy, reflects the long-standing and relentless exploitation of other countries and their people by U.S. military forces that continues to this day. Racism is an easy… too easy way to explain away this maniacal obsession with control. The Marines, who were likely “white,” acted under orders. They were as much slaves or pirates by any definition of the term, having been ordered to take $11 million in gold from the National Bank of Haiti and transfer it to the National City Bank of New York. To the people who ran the corporations, the Lives of neither the Marines nor the Haitians actually mattered. So it is today when law enforcement personnel are trained in disrespectful practices (after all, they are designed to be against “bad guys”) that put them at odds, and at risk to the public that they are supposed to serve. Being armed to the hilt doesn’t replace their knowing that what they’re doing is ill-advised, or their fear of reprisal. What they don’t understand is that reprisal may, but won’t necessarily come from outside, where they’re looking (or fearing). It’ll come from within themselves. All that confiscated gold was used to secure the debts of the bankrupt United States of America, Inc. — the governmental services corporation that Roosevelt was elected to serve as “President”. The precedents just keep being revealed and revealed. It is easy to wonder how or why a people in a country seem mired in poverty and squalor. It is hard to see, or even assume, that outside forces are consistently and deliberately maintaining practices that are so antithetical to Life, as well as unnecessary. 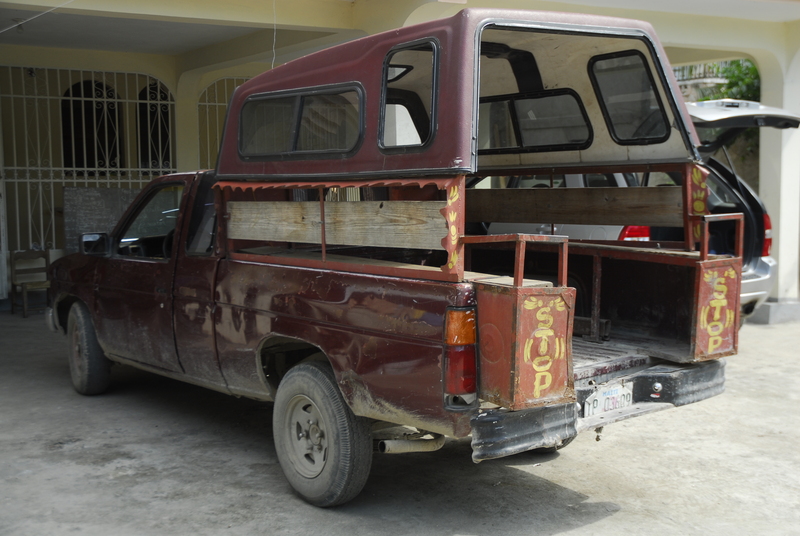 Port-au-Prince, April 2010: I hung on (or off) the back of this truck. 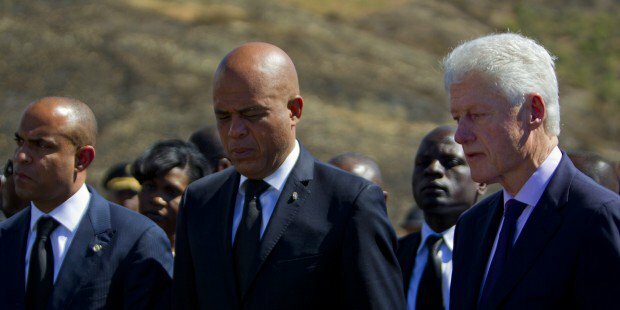 So these patterns of American abuse in Haiti were well established by the time Bill and Hillary came on the scene. Exploitation had been nothing new. It may have been a bone that the Bush family, which knows a thing or two about exploitation, brought to their attention. 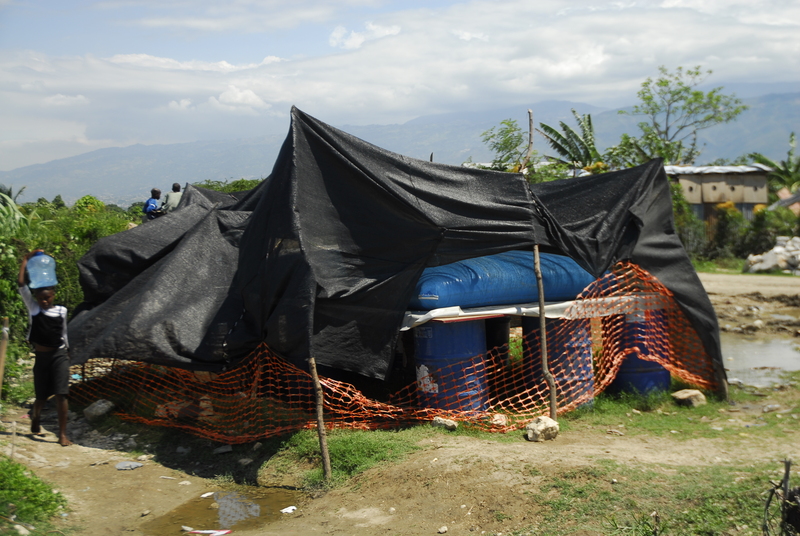 My one visit to Haiti happened in April, 2010 ~ four months after the horrific earthquake. I went there with four other people who attended the first MMS workshop in the Dominican Republic, which shares the island of Hispañola with Haiti. 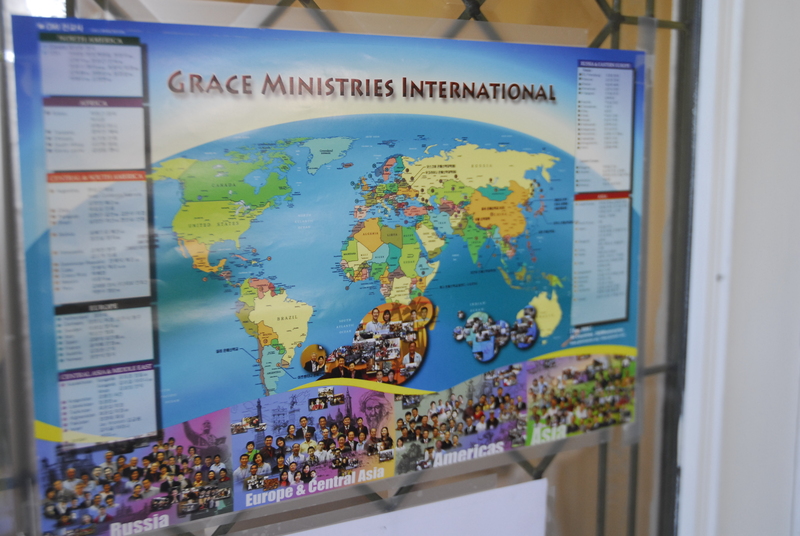 Getting there was an adventure unto itself, but we succeeded in doing so, and was received and hosted by a Korean missionary group. 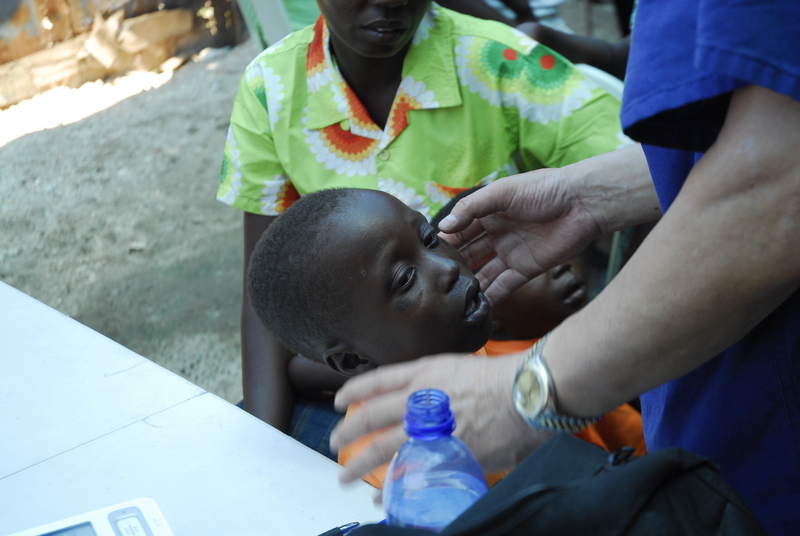 They had been in Haiti before the earthquake, and had arranged regular visits by medical professionals to administer aid, most of which consisted of aspirin and pain killers. 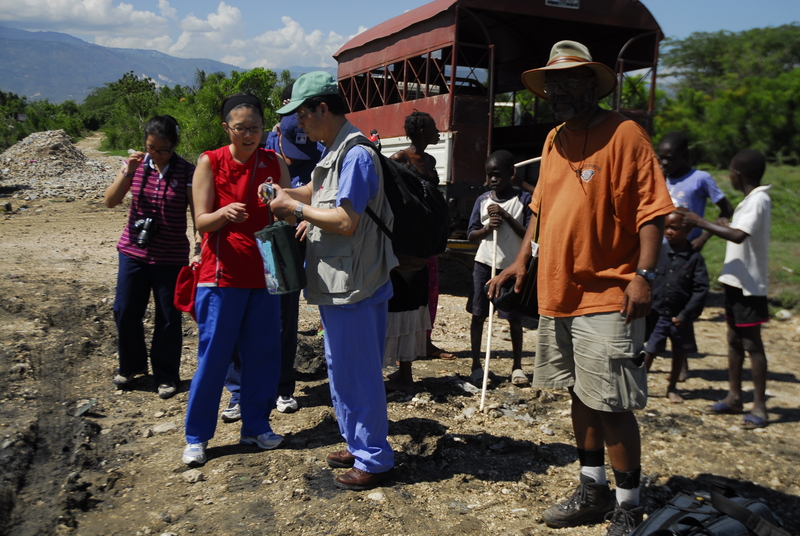 Before going on a tour of Port-au-Prince, we picked up the arriving doctors at the airport. The timing was fascinating, because we had to move to the side of the road exiting the airport as a procession of black SUV’s with sirens on moved loudly by. Peering in to one vehicle that had a back seat window down, I could see that one passenger was packing a machine gun. I don’t know if Bill or Hillary, or one of their staff was in the motorcade, but I did eventually learn of their involvement. It’s quite a system that kills the spirit of people without their knowing. Of course it always sounds and looks good that you show up when disasters like this happen. Few people would every assume that you are there as an oppressing force and not a liberator. 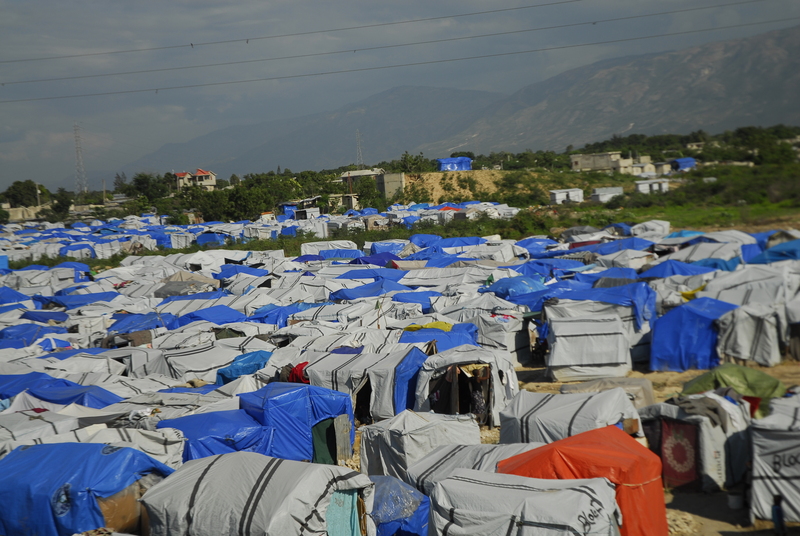 This is how way too many of the people lived in Port-au-Prince in April 2010. From the sentiments that I hear, not much has changed. The world responded with money from the Clinton’s call, pockets lined, but little changed. When I drank the water, even bottled water, my throat would tense up, as though it was dehydrated. This was a water station out in the country. Water was kept in the blue bladder under the tarp. I was able to have limited communication with this man, who spoke French. Enough to share a smile together. That was 6 years ago, but in spite of many billions of dollars being sent to the country, and flowing to the Clinton Foundation for their “non-profit” stewardship, very little has changed in the quality of life there, which was only exacerbated recently by the latest hurricane. 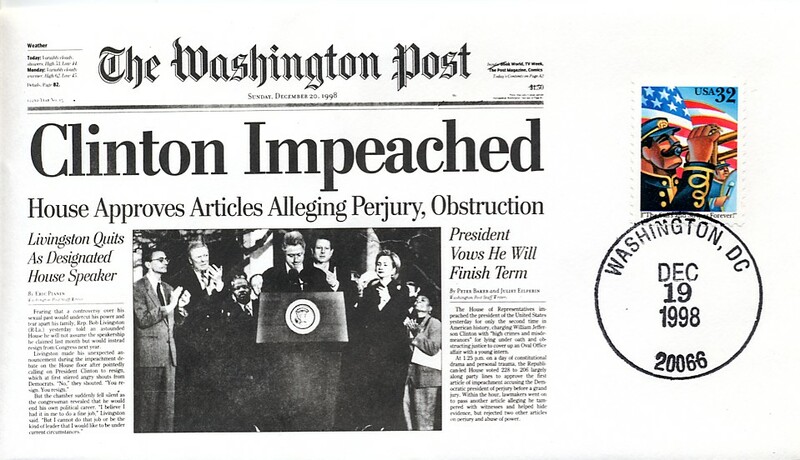 Bill Clinton’s impeachable actions should have been grounds for removal from office, but he was not. Hillary and Bill Clinton aren’t just a married couple. They are birds of a feather, whose allegiance is to self-enrichment via the practice of quid pro quo. This is further evidence that those who actually function as “the government”, see themselves as a different order that manage the masses as a rancher would cattle. Today Mr. Clinton is afforded all the “perks” and respect of a former president because he furthered the overseer’s agenda well enough. Hillary Clinton is poised to work for the same employer, which is not you or me. She already knows that lies are being bent and twisted in great fashion in support for her denials of impropriety and assertions of innocent intent, to appear as truth. Never mind that an unusually long trail of her close associates and advisers have met untimely and unnatural interruptions to their physical life experiences. Oddly, little in the way of investigation has been done. Everyone just continues to smile as though nothing unusual or unconscionable is happening. If we do not have human principles (not religious) in tact, then it is easy to assume that all is okay. We won’t recognize the bigger obstacle that we place in our own path that will be harder to smile off. Human principles are Life principles. They are not religious principles, because they apply to all, whereas religious principles seem to apply only to believers. Religious principles can be used to excuse some very inhumane behavior against Life in general, and other humans in particular. I am Life. I love, honor, and respect Life. The presence of other Life, both human and otherwise, is what makes experience meaningful. We have allowed a major detour from human, Life respecting principles to become “normal,” to the extent that the quality of Life is declining even while some zientists take some credit for extending Life by artificially contrived means. I ask, what good is a proverbial “cure” for cancer, if the true causes are not understood and changed, so that Life continues getting cancer? Well, I guess that means someone has a damn good and steady business, but no enhanced quality of Life. So the election should be stopped, the biasing parties singled out and taken out of a position to put more people and themselves in danger, while we get on with the process of selecting one who will represent The Will of The People. So far, regarding biasing, the main players appear to be the Clinton camp, DNC, and the Commission on Presidential Debates (did not invite any other candidates). While the U.S. government should not be “owning” land that it can restrict the public from without disclosure (as it actually belongs to The People), it should own voting machine technology, and its inner workings should be public knowledge. 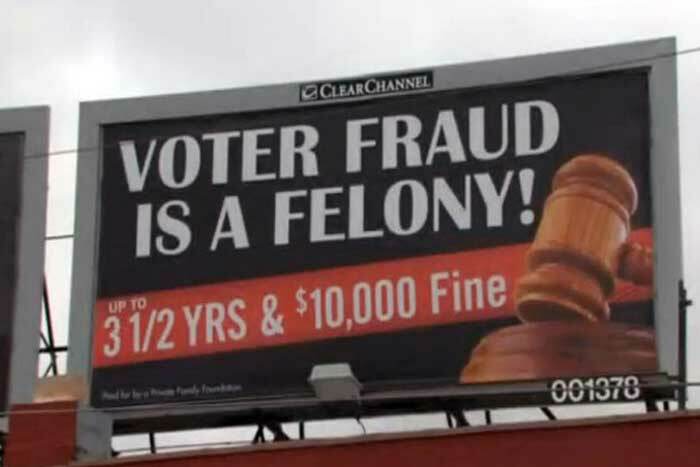 Instead of making voter fraud a felony, it is better to make it impossible to defraud the system. The best way to do that is to allow the best ideas, that benefit the most Life, to be heard, and then acted upon, whether a Democrat, Republican or representative of another political orientation is the author. What we get when such freedom and openness is exercised, is a society of secure, healthy, intelligent, cooperative, and happy people, who care about others as they care about themselves. Voting machine fraud isn’t new, but that’s no reason to act as though it’s not happening now, and put an end to it. The Will of The People will never be known, much less carried out, if partisan politicians can own voting machines, and so-called “super-delegates” can even override the votes of delegates in the Electoral College, which itself should not exist. 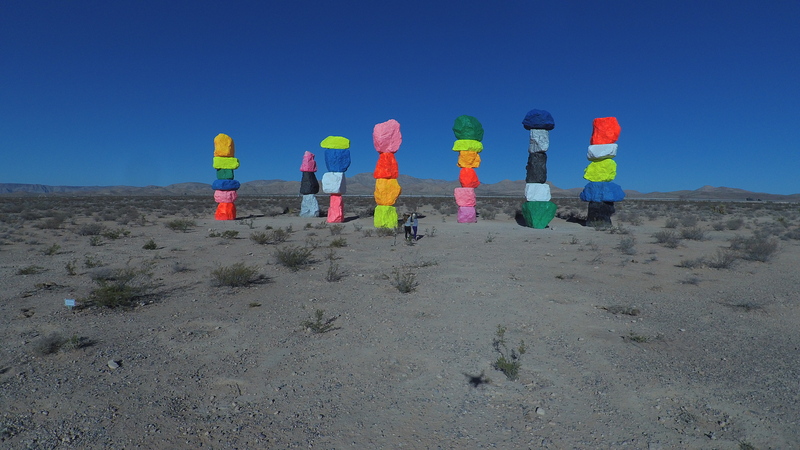 You can get a feeling for the size of these rock totems. This morning upon awakening, the I could hear the words deceit, lies, and slander playing out in my head as a characterizing quality of this election campaign. They look to like dancing giants. 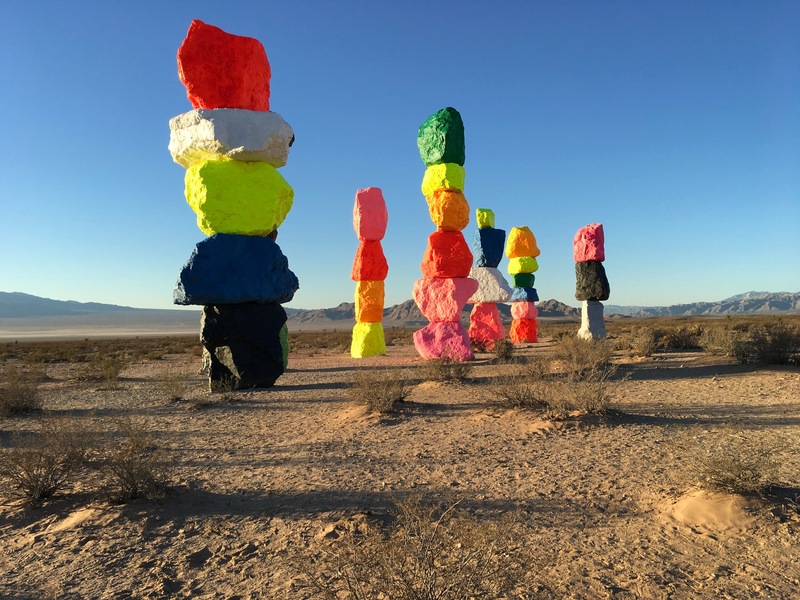 So I got up and headed out to a place near the dry lake beds that I’ve spoken at before, and talked, with an art installation comprised of seven massive rock totems, that can be seen to the east of I-15 in Jean, Nevada, in the background. I don’t expect anyone to hear, much less agree with this strategy in large enough numbers to be meaningful, but a high turnout will only provide more fuzziness by which to make it harder to discern how the data is manipulated. We need to risk a lot of embarrassment and stop this fiasco, because your sentiments are being railroaded into a system that is set up to manipulate and control both Democrat and Republican factions. If Mr. Trump truly wants to be president, he’ll relish the opportunity to have a truly fair election, and a mandate of the American people who have heard other approaches and then still chose his. If you want change. THIS is change. Thank you Adam, again true, so true!